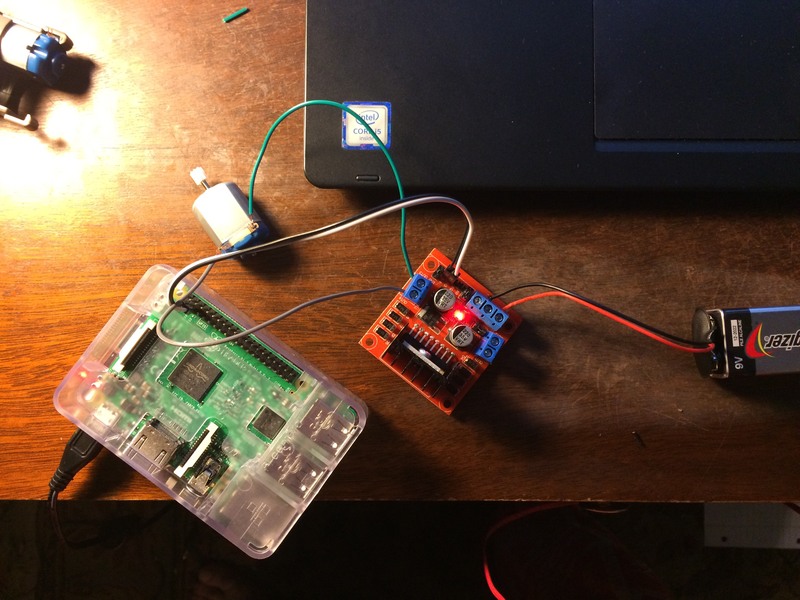 I am trying to control a 3-6 volt motor with a raspberry pi and h-bridge. I have a separate power source for my pi and my motors. I have tried a 6v, 9v, and 12v power source. However, the motor buzzes but will not turn. (The motors turn when power is directly applied). Is it possible the H-bridge is fried, or is the voltage drop that great? Any suggestion would be great. Also if there is a better way to directly control the motors I am all ears. That way you can learn how slow and faster your motor can turn. Some motors start turning when x = 25 , some are x = 50..
Not the answer you're looking for? Browse other questions tagged pi-3 power-supply dc-motor bridge or ask your own question. How to use Arduino Motor Shield with Raspberry Pi?